Niagara Falls, NY - Bria Freeman, 11, takes pride in watering the school garden. She is one of about 8 students that participate in the GJ Mann Gardening Club lead by Garden Club Advisor and 5th grade teacher Caren Stevens. 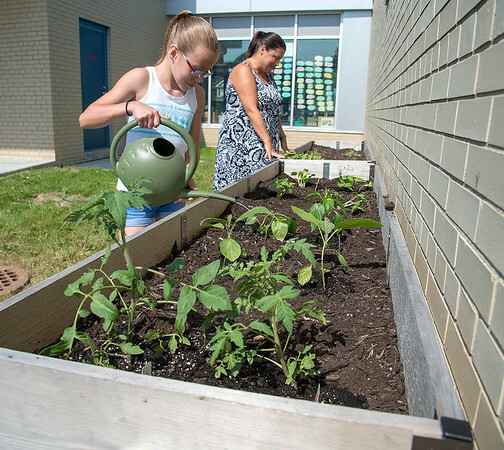 The club meets on Wednesday mornings to care for a variety of plants that include Eggplant, Peppers, Basil, Dyll, Tomatoes and a host of flowering plants, all of which Bria Freeman volunteered to help water while on summer vacation.